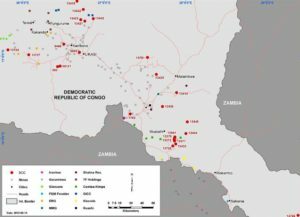 Bankers Cobalt Corp. [BANC-TSXV; BC2-FSE] on Thursday July 5 released an update on its exploration activities in the Democratic Republic of Congo (DRC). The announcement comes after the Vancouver-based company closed a non-brokered private placement that raised $1.3 million from the issuance of 10.9 million units priced at 12 cents per unit, with each consisting of one common share of Bankers and one-half of a share purchase warrant. Each whole warrant is exercisable into one share at an exercise price of 40 cents a share for two years following that date of issuance. The expiry date of each whole warrant can be accelerated in the event that the volume weighted average value of the shares on the TSX Venture Exchange or another recognized exchange is greater than 50 cents for 20 consecutive trading days at any time after the closing date of the financing. On Thursday, the shares traded at 11 cents in a 52-week range of 85 cents and 9.5 cents. Bankers Cobalt, which recently said it planned to raise up to $6 million, is a cobalt and copper exploration and development company focused on advancing a portfolio of permitted concessions in the DRC. 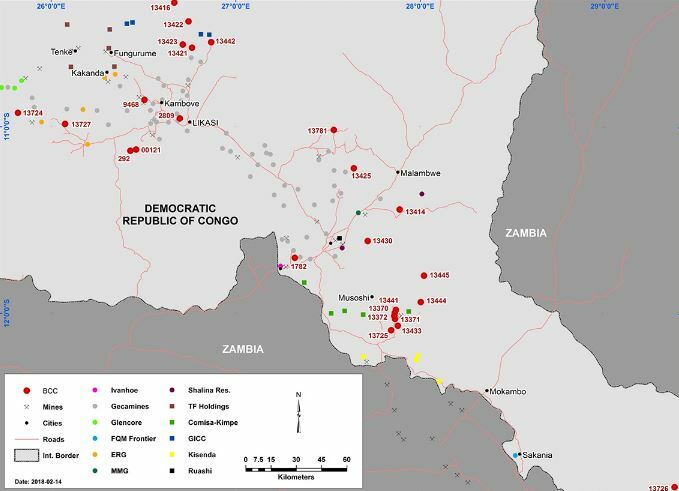 The company holds rights to 26 separate mineral concessions strategically located in the southern DRC Copper Belt, covering a total area of 391 km2. The DRC is the source of roughly 54% of the world’s cobalt production. The company has said its aim is to generate a reliable, certified supply of non-conflict copper-cobalt for existing and new processors in the DRC, which have excess capacity but a lack of available certified resources to meet burgeoning market demands. However, in Thursday’s press release, the company did not reveal how much it was spending on its DRC programs. Bankers has started reverse circulation drilling at the Kankutu Project, which is situated south of Lubumbashi and within 3 km of the operating Kimpe cobalt and copper mine. The drilling is being conducted based on positive geochemical and geophysics results. The drilling is planned for 1,250 metres and may be adjusted based on the results achieved. RC drilling is expected to commence on the Kabolela permit within the next few days as the drill has been mobilized at the site. Drilling will initially focus on the large dump located close to the property boundary to determine the grade distribution within the dump. The company is planning 1,100 metres of drilling at Kabolela, but may adjust depending on results. The company is also planning a 1,600-metre program at the 292 Project where trenching has intersected a zone with elevated copper, cobalt and silver in trench grab samples at the western end of the license area. The company is set to drill a number of other licenses in the DRC, including the Mamba and Green Mamba licenses, which are directly along strike from African Battery Metals’ Kasinka Project. These permits are in an area with seven producing cobalt/copper mines within a radius of the licenses.